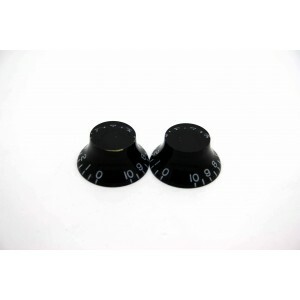 Emerson Pro CTS pots from Emerson Custom were designed to be the premium choice for the discerning guitarist looking for the optimum performance and tonal response from a guitar potentiometer. 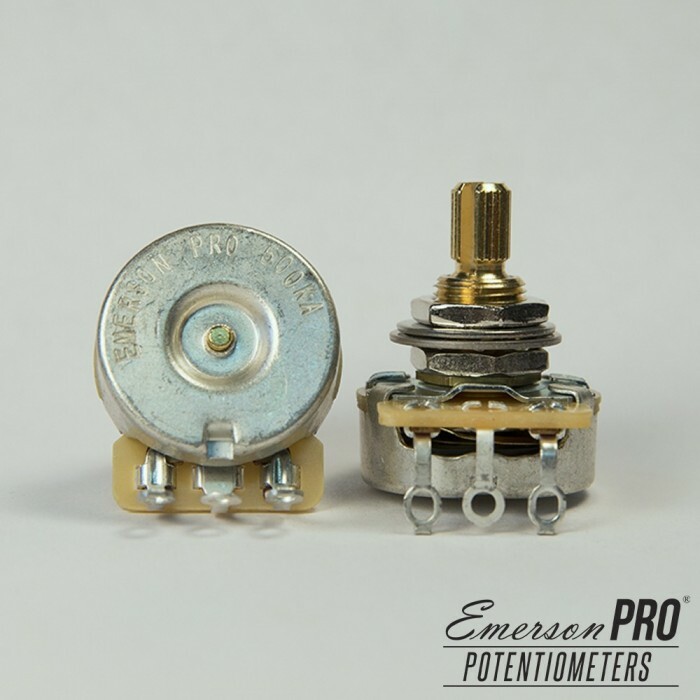 These specially designed Emerson Pro CTS feature a longer-life brass shaft and bushing. 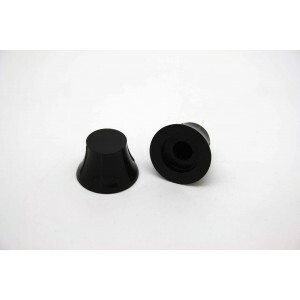 They also feature a tighter ±8% resistance tolerance compared to CTS products offered by most other suppliers. 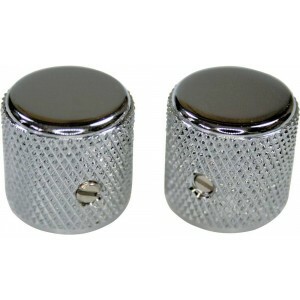 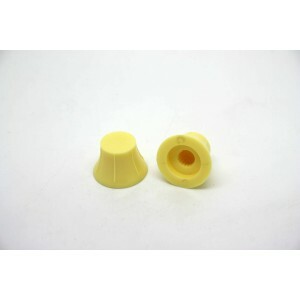 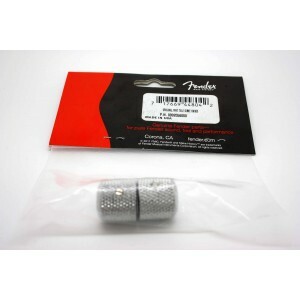 - 1/4" split shaft for fine-knurled (24-spline) US Spec knobs. 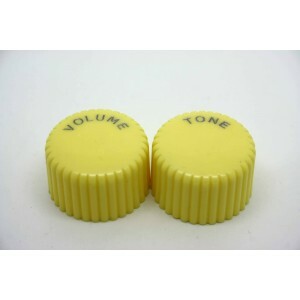 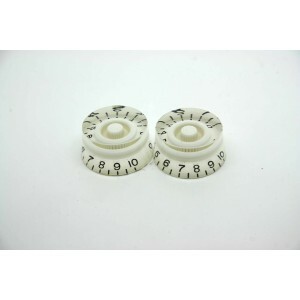 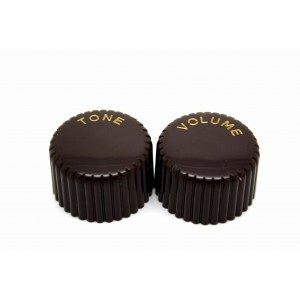 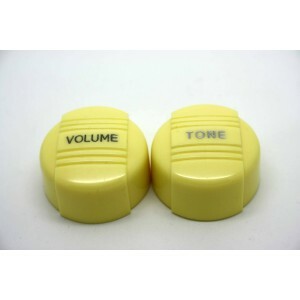 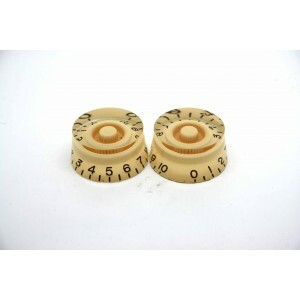 - Typically used on SG's, Flat Top Non Carved Top Les Pauls, PRS's, LP Jr's and many other models of guitars, but can be used on any guitar that requires a 500K Split Shaft Potentiometer. 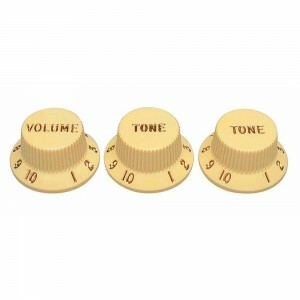 WE ARE INTERNATIONAL DEALER OF EMERSON CUSTOM GUITARS!